We provide a modest amount of research for inquiries arising from church business. 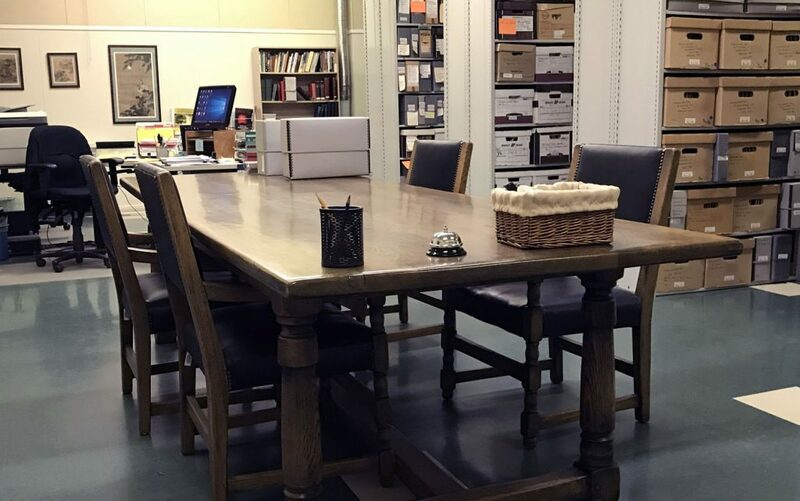 If you’re researching your congregation’s history or preparing for a special congregational anniversary, it is almost always worthwhile to visit the Archives to view the materials in person, if possible. If you are conducting personal research and are unable to visit the Archives, you may contact a professional researcher who, for a fee, will assist in more extensive searches. Professional researchers work independently and are not members of the archival staff. All arrangements, including fees, are between the person making the inquiry and the professional researcher. Please refer to the list of private researchers that appears on the British Columbia Genealogical Society website. Please consult our special requirements for requesting baptism and marriage records. Format of your request: It is better to send a request by email, fax, or letter to the Archives, rather than calling us. This is particularly true for requests involving personal information. Your contact information: Please include your phone number and mailing address in your request, so that we can call you for clarification and send certificates or research findings to you by mail. We acknowledge that there are times when your ability to provide clear information is limited, and in these cases we will try our best to find the record that you seek.